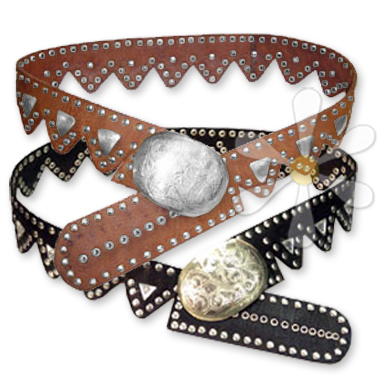 The SIERRA belt features a serrulate edge with each notch celebrated with inverted metal triangles. Two rows of metal studs outline the silhouette and it's anchored by an intricately etched buckle. Crafted in Morocco of the 100% soft tanned leather for which their craftsman have been known the world over for centuries.